Pinch metal matrices from Garrison Dental are retainerless Tofflemire-style matrices that simplify all posterior restorations. The precontoured .0015 in thin metal matrix is easily positioned around the tooth to be restored and the tensioning loop is pinched to tighten the band to the tooth. 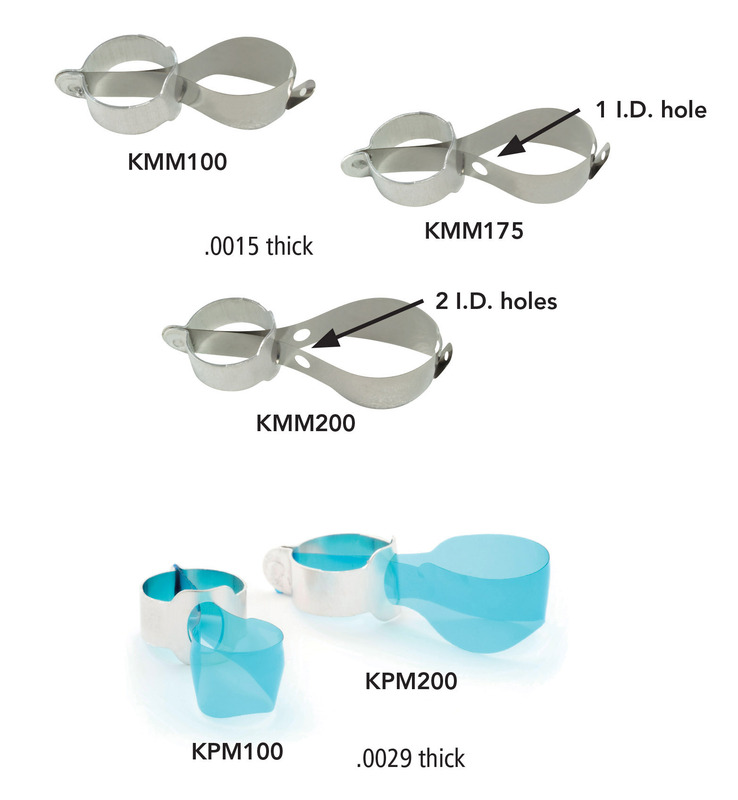 Pinch metal matrices are available in 3 sizes: Premolar, Standard Molar, and Tall Molar.